At their best car tires near Fairfax Station, VA, deliver safety, boost fuel economy, enable better handling and can stop on a dime. However, our car tires deliver these critical functions day in and day out, in good weather and bad, and things go wrong. Replace all four tires at once, as a set, to easily monitor performance and wear characteristics over time. Car tires near Fairfax Station, VA, should be replaced, whether used or in storage, every six years because of oxidation that destroys the rubber components. Uneven tread wear can signal problems with suspension or alignment. Have your Wiygul Automotive Clinic ASE-certified mechanic check to confirm your vehicle is in good working order before spending money on car tires near Fairfax Station, VA. Remember to check your spare tire for safety, too. Next to properly inflated tires, keeping a consistent tire rotation schedule will help prolong the life of your car tires. Fairfax Station, VA, drivers can rely on the auto service professionals at Wiygul Automotive Clinic to rotate car tires with every oil change – no matter the signs of road wear. 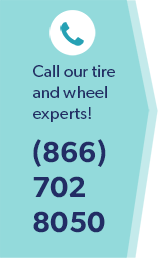 Trust the Goodyear name and Wiygul Automotive Clinic when you need to service or replace your car tires near Fairfax Station, VA.